The majestic Cederberg is a 100km long mountain range known for its characteristic jagged sandstone, richly coloured by iron oxides to a deep orange, as well as its curious rock formations and Bushmen (san) rock art. Most of the Cederberg is a designated Wilderness Area (83,000ha) and is part of the Cape Floral Kingdom which is a World Heritage Site. 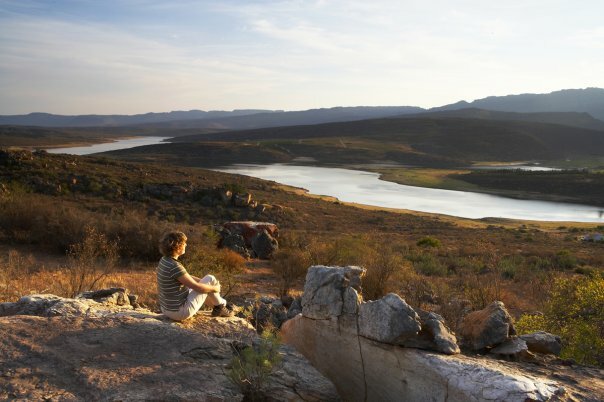 The Cederberg Wilderness is surrounded by conservancies - land owned by farmers but conserved in its natural state - such as the Cederberg conservancy, the Pakhuis conservancy and Nardouwsberg conservancy, so that the whole Cederberg wilderness area is closer to 170,000ha. 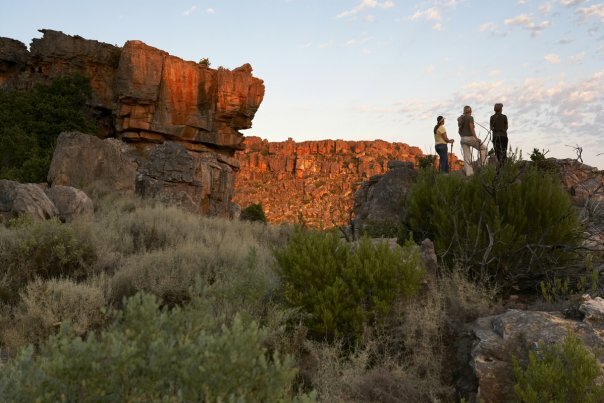 Thus the Cederberg mountains remain one of the most undisturbed areas in South Africa. 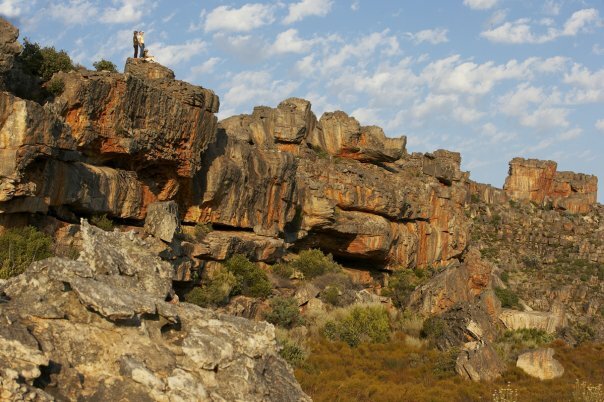 The central & southern Cederberg Wilderness offers spectacular rock formations such as the Maltese Cross, the Stadsaal caves and Lot's Wife as well as bushmen rock art. The rivers provide great picnic spots with waterfalls and deep rock pools for swimming (for example at Algeria Forest Station and Maalgat near Sandrif). Classic mountain hikes here include the Maltese Cross, the Wolfberg Cracks & Arch, Middleburg and Sneeuberg. 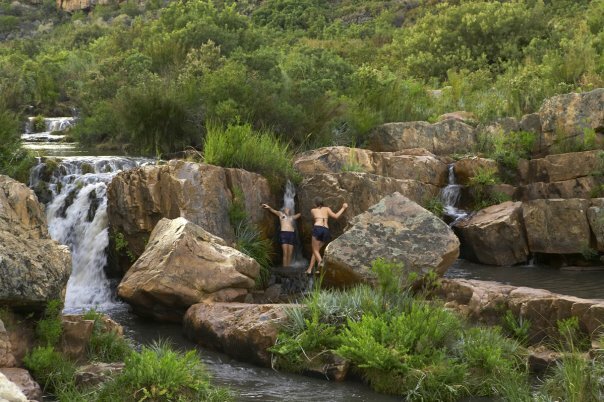 The northern Cederberg Wilderness offers the equally rewarding mountain hikes to Krakadouw and Boontjieskloof as well as donkey cart excursions to pretty unspoilt mission villages, riverside picnic spots and of course world-class rockclimbing and bouldering at Rocklands near the Pakhuis Pass. Indigenous wildlife in the Cederberg Wilderness includes klipspingers, grey rhebok, duiker and rock dassies which are all regularly seen. Porcupine, honeybadger, Cape clawless otter and even aardvark also occur though they are rarely seen. The elusive Cape Mountain leopard is fairly common but very shy. Smaller predators include the African wild cat, bat-eared fox and Cape fox.